I saw this little picture the other day after a friend brought it to my attention. I really love it because it highlights great actions you can take to be more sustainable. 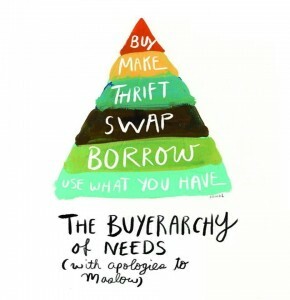 Its funny how, when we perceive we need something, we automatically run to the top of the pyramid and go out an buy it. I guess this is the easiest thing to do, but not the best thing we can do for considering our resources, finances and ethics around producing ‘things’. 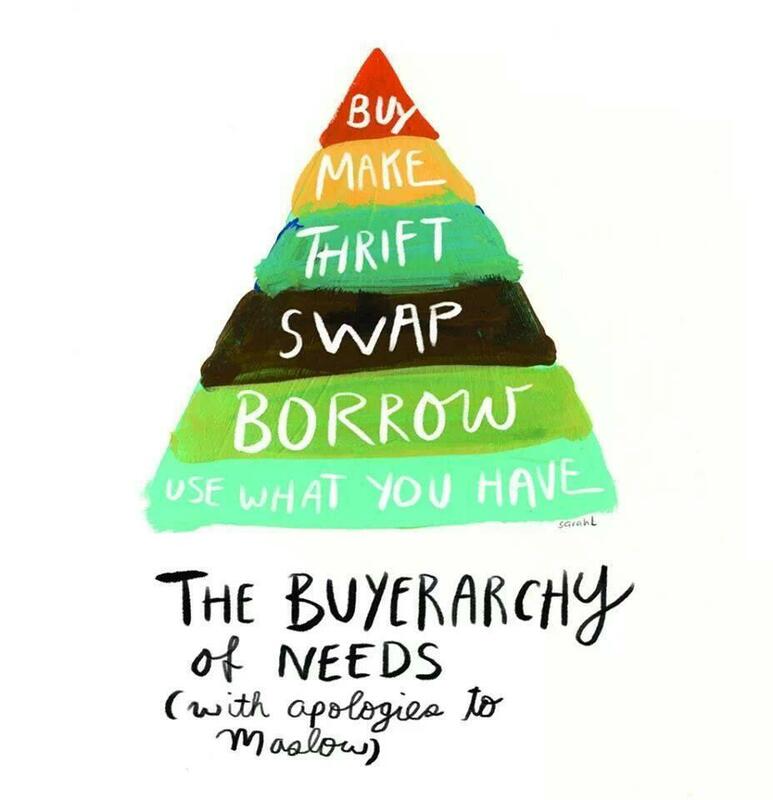 It may take a little more effort to consider one of the other options on the pyramid but I do hope our culture can start to shift to considering other options.